Purple potatoes may do more than add a pop of color to your plate. These vibrant tubers might also help ward off colon cancer, according to new research done on animals at Pennsylvania State University. 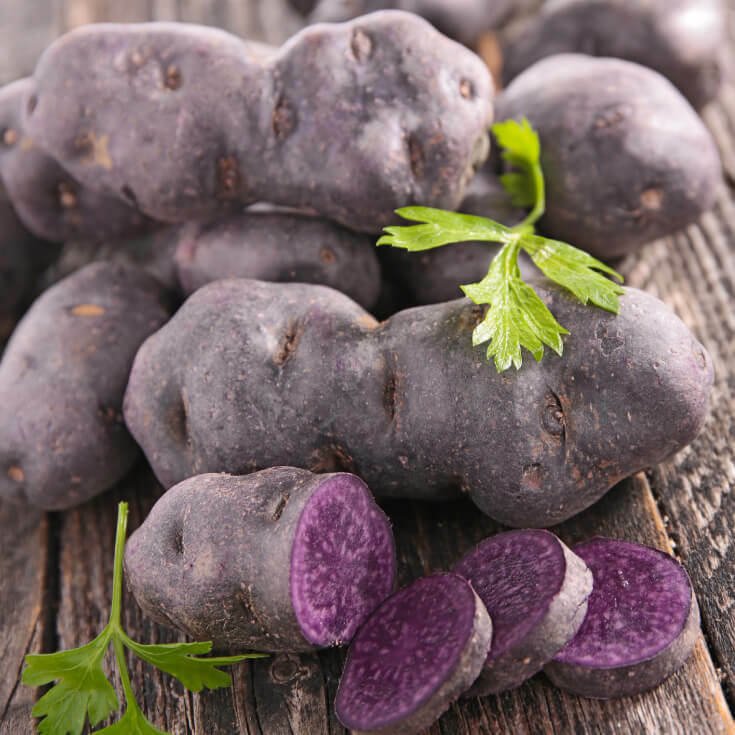 Purple-fleshed potatoes are particularly rich in anti-inflammatory, antioxidant compounds called phenolic acids and anthocyanins; and previous research has suggested that these compounds possess anti-cancer properties. To find out how the veggie might affect colon cancer risk, the researchers fed three groups of pigs one of three diets for 13 weeks: a high-calorie diet, a high-calorie diet supplemented with raw or baked purple potatoes, and a standard control diet. After 13 weeks, the researchers screened the pigs’ colonic tissue for markers tied to colon cancer.They found that compared to the control group, the animals fed a high-calorie diet had higher levels of IL-6, a pro-inflammatory protein known to increase colon cancer risk. But the pigs fed the high-calorie diet supplemented with purple potatoes had IL-6 levels that were six times lower than IL-6 levels in the control group. More research is needed, of course, and the results of this study—which was published in The Journal of Nutritional Biochemistry—may not hold true in human beings. But the findings are hopeful, especially considering there will be more than 95,000 new cases of colon cancer diagnosed in the United States this year, according to the American Cancer Society.